Are you looking for top-quality landscaping services delivered by a professional team? If so, turn to the Lake in the Hills landscapers of Daybreaker Landscapes. We are proud to provide experienced landscape services for residential and commercial clients across the Chicagoland area. Whether you are looking to renovate, install an outdoor kitchen or other hardscape feature, or would like seasonal upkeep, we’re here to help. Since 2010, we have been the preferred landscaping service for people across Elgin, Lake in the Hills, Algonquin, Crystal Lake, Woodstock, Barrington, and the surrounding areas. We know how much your property means to you, and we know that keeping your outdoor spaces healthy and inviting is a reflection on you. We’re committed to providing the highest-quality landscaping services to ensure that your property looks great all year round. A professional landscaping company can make all the difference for your property. We know that so many people lack the time, energy, design skills, or experience to install and maintain a welcoming outdoor space. The good news is that professional help is only a phone call away. Daybreaker Landscapes offers free estimates, so call us at (815) 596-0070 or fill out a contact form to discuss your project with a knowledgeable member of our team today. In years past I have used other lawn maintenance services and for the most part I don’t like to switch as long as they are doing a good job. I got a little frustrated with my prior service because they seemed to start rushing the job and they raised the pricing….just enough to make me look around. Just at that time, Daybreaker Landscapes had put some mailings out looking for new customers and what caught my eye with was their letter. How they wrote it, how they seemed to approach the job/taking on new clients/etc. So, I gave them a call. Their pricing was in line, they would fit us in on the day I wanted every week so we went with them. So far I’ve been very impressed. Things that stood out to me that I’ve never had with prior services: if weather was bad, they’d email or call to let me know why they thought it wasn’t good to mow that week (too wet, too dry) and when he would come instead. They’d email or call if they saw anything odd or needed attention to our yard…that they didn’t already perform. I appreciated the little things like that. Overall, we have been very pleased and continue to recommend Daybreaker to anyone who needs landscaping services. I initially hired Daybreaker Landscapes to maintain my lawn. Then when I decided to sell my house, they suggested I refresh my landscaping to increase my selling price and help sell my house faster. I had not previously considered this, but I was really glad I did because I received an offer 4 days after listing my house! I was so happy that I hired them to install a brick paver sidewalk, patio, new plants, lights, and a drainage system at my new house. The work they did was excellent and I continue to recommend them to all my new neighbors. After interviewing several landscaping companies to replace a small concrete patio at my house with a larger brick paver patio, I selected Daybreaker Landscapes to complete my project. I chose them because I liked their professional proposal and they were very thorough in explaining their installation process. They also gave me some tips to ask other contractors when comparing proposals, I really appreciated all this information. I highly recommend Daybreaker Landscapes! We are truly pleased with Daybreaker’s services. They are professional, and our landscaping looks fantastic. Our back yard has been completely transformed and we can’t wait to spend time on our new patio! I hired Daybreaker to install a brick patio at my house after receiving a recommendation from a neighbor who had them complete some work at their house. I really appreciated how professional the owner was and how he thoroughly answered all of my questions. I am very pleased with their work and look forward to many years of enjoying my new patio! I have been a loyal and satisfied customer of Daybreaker Landscapes for the last two years. I can honestly say my lawn has never looked better. I am happy with the quality of work and professional service this company provides to their customers. Standing water can kill your grass and cause foundation issues and flooding. 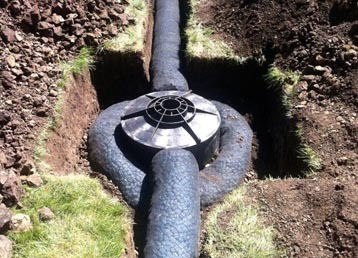 Our unique and innovative drainage solutions will make sure that water flows away from your home efficiently. 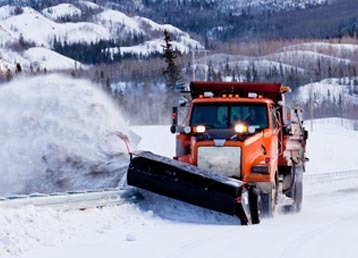 Let our snow removal professionals clear your driveway, parking lots, walkways, and entrances for the convenience and safety of everyone who enters or exits your property. 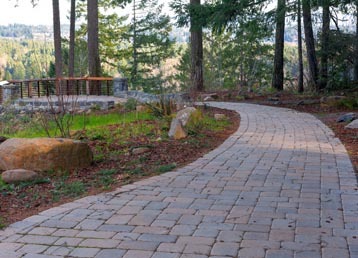 Our professional hardscape designers and installers will help you make the most of your outdoor space by installing beautiful and useful features. 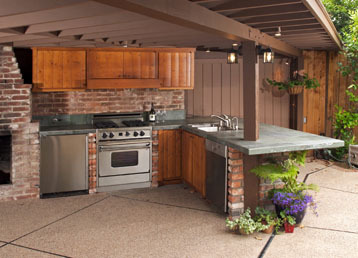 Entertain family and friends outdoors with the outdoor kitchen of your dreams. Our experts will work with you to build a kitchen that acts as an extension of your home and fits your property perfectly. Don’t have the time or skill to maintain your property the way you’d like to? Let us handle it for you, whether you need a one-time overhaul or routine maintenance to make your residential or commercial property look great. 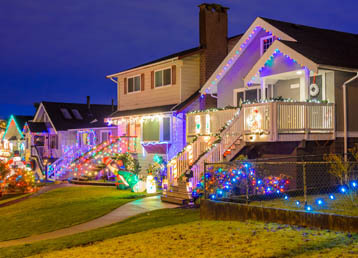 Want to enjoy being in your yard at after dark? Our professional outdoor lighting installation service guarantees that you’ll have a beautifully lit outdoor space, without having to lift a finger to install anything. We also offer leaf and debris removal, brick paving, deck & patio planning, exterior light installation, and mulch delivery. Working outdoors is what we love, and we have dedicated our lives to our community. If you have a need for any of our services or need a service you didn’t see listed, feel free to give us a call and ask us any questions. Our phone number is (815) 596-0070. Since our founding in 2010 by Jeff Rausch, a United States Air Force veteran, Daybreaker Landscapes has been providing the highest-quality professional landscaping services to residential and commercial property owners across the Chicagoland area. Our commitment to our client’s satisfaction is second to none. Our goal is to take the hassle of maintaining your outdoor spaces off of your hands, and make sure that you are proud of the look of your property. It is this commitment to customer service that has allowed our company to grow exponentially. Our maintenance portfolio includes over 150 commercial and residential properties in the area, which is a testament to our client’s belief in our services. Our approach to professional landscaping is centered around communication, reliability, and customer satisfaction. If you are looking for design, installation, or maintenance for your outdoor space, turn to the experts at Daybreaker Landscapes for the professional services you need. 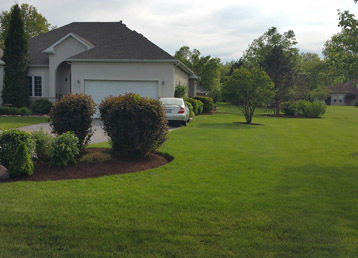 There is nothing like arriving at your property to find it perfectly manicured and maintained. Why not trust the upkeep of your home or commercial property to a team that has the experience and skill to do it right? Since 2010, Daybreaker Landscapes has been the trusted name in professional landscaping services in Elgin, Lake in the Hills, Algonquin, Crystal Lake, Woodstock, Barrington, and beyond. Contact our team for a free estimate, and our knowledgeable landscape experts will discuss your project and help make your dreams a reality. Call us at (815) 596-0070 or fill out a contact form to discuss your project with us today.